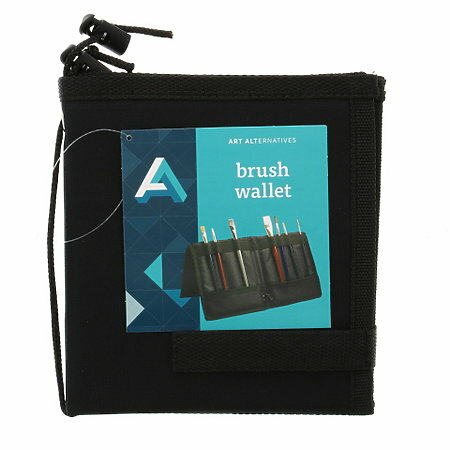 The Brush Caddy is made of a durable, water-resistant nylon fabric. It features a Velcro closure and is padded to protect the contents inside. Its stand-up assembly allows easy access to tools and the display angle adjusts using a drawstring cord. It also can store pens, painting knives and other small tools. Measures 6.75" x 12.75" folded and 13.5" x 12.75" open.